We are Tim & Bea, a family from Hoeilaart with 2 children, Leander and Enya. 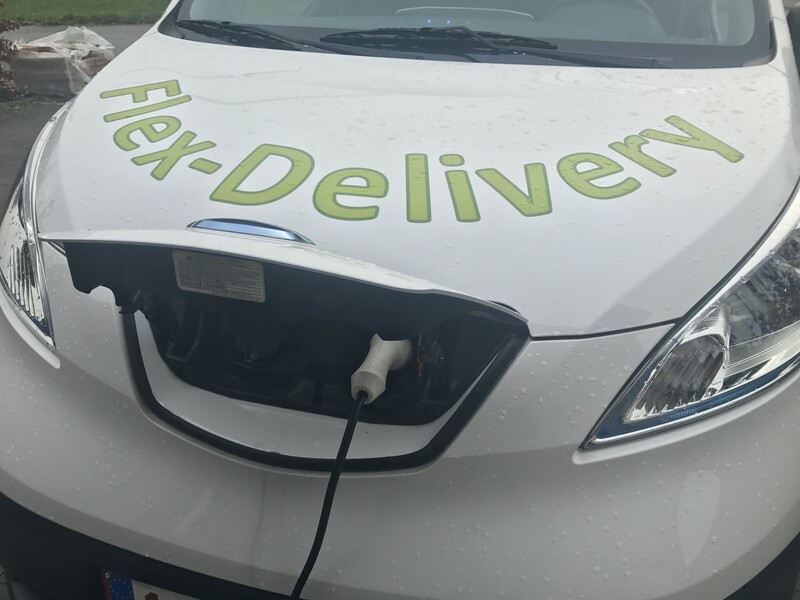 We have started Flex-Delivery in September 2016. We deliver milk, water and lemonade in glass bottles at home, in Hoeilaart and Overijse! We want to give people the opportunity, to be able to easily enjoy the better quality & more tasteful food products, all by taking care of our environment! No more brik or plastic bottles, no more plastic packaging waste, free home delivery and no more loading and unloading of drink crates or packages. This all at very competitive prices! This is a service, families have been waiting for, for a long time and therefore there is a lot of interest! After talking to many families, it became clear that a lot of people do find the increasing number of plastic waste, a real problem. 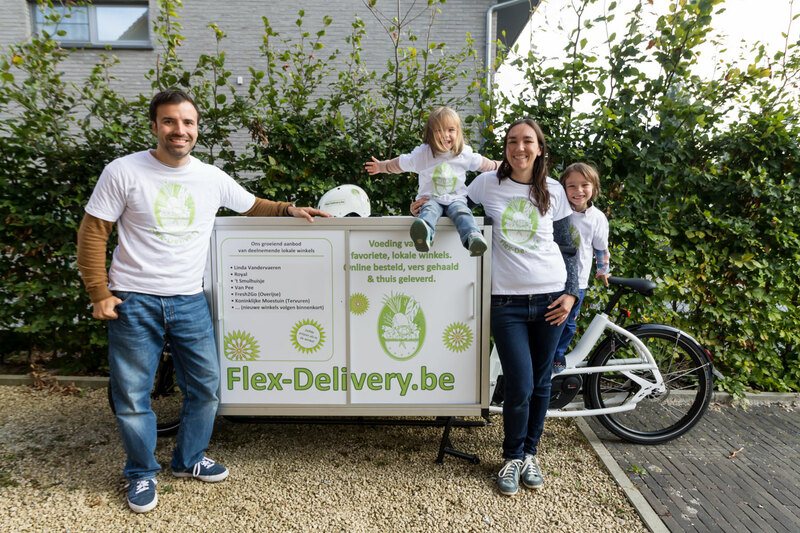 This way, we had the idea to pivot our first concept, where we delivered food from the local shops and bring back the Milk-man concept in an innovative way: by making use of a webshop and environmental friendly transport. Today, our core service is the delivery of milk at home, for which we have found a supplier of local Belgian milk in glass bottles. 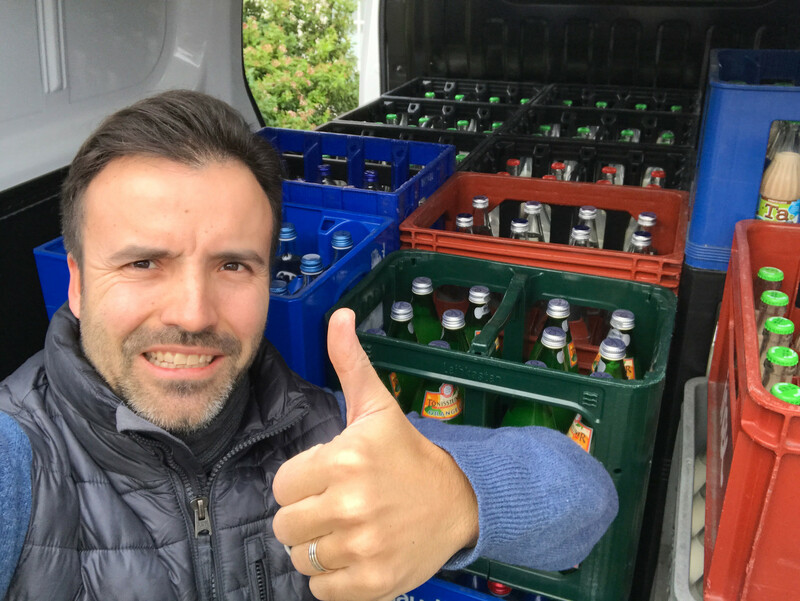 Since we brought back the Milk-man concept, we have delivered hundreds of crates and we have been able to avoid thousands of plastic bottles, with all families together. A real success! It’s very easy! No minimum order quantity, choice from semi-skimmed, whole and skimmed milk in liter and half-liter bottles, as well as choco and strawberry milk flavours. Of course, you can also chose other drinks, like water and lemonade in glass bottles. All is without any obligations. You place your 1st order on the webshop, by email or phone. Thereafter, you can order on a case-by-case basis or make an arrangement based on your personal consumption. We also deliver when you are not at home, where we leave a money transfer paper in your letter box. When you are at home, you can also pay with your bank card. 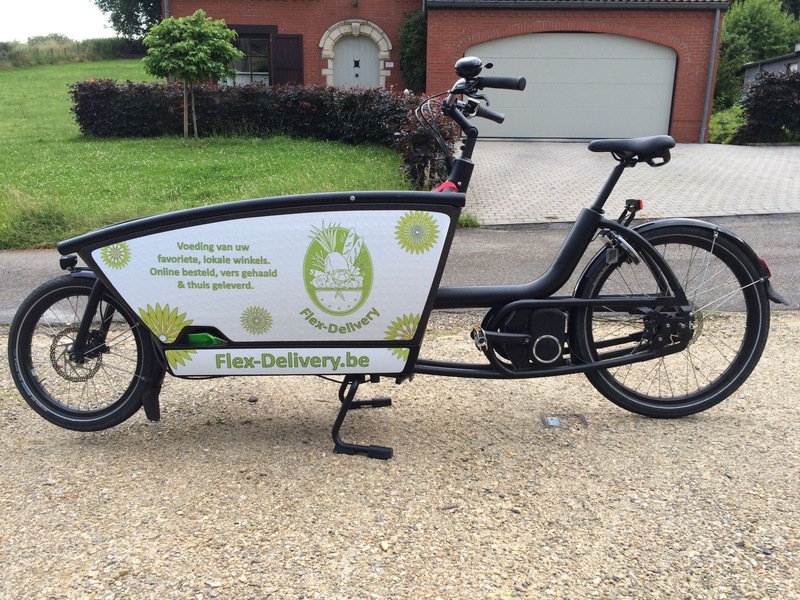 We can delivery on a weekly basis, in Hoeilaart and the surrounding villages! Place now your 1st drink crate order on our website, for free home delivery. Start to enjoy the very tasteful Belgium quality products, the ease of having your drinks delivered at home and decrease your plastic waste! All at very competitive prices!